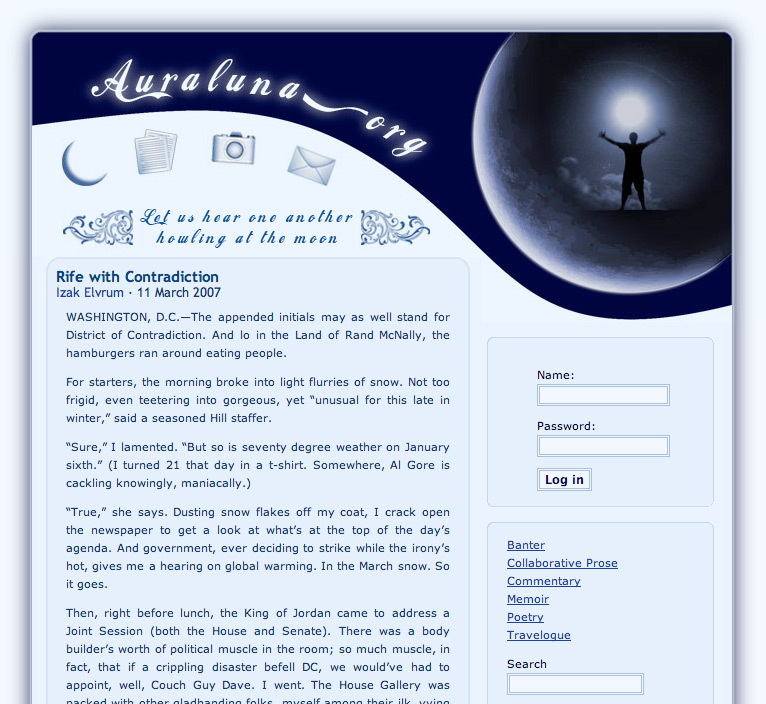 Auraluna was designed to act as a shared place for my friends and I to write. This was launched just before the explosion of popular social networking sites, but was intended to be used in more of a traditional writer/literary sense. 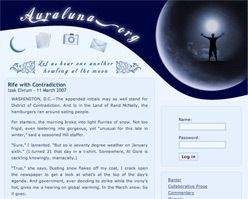 The design of the site is meant to convey an enduring quality of writing among friends.